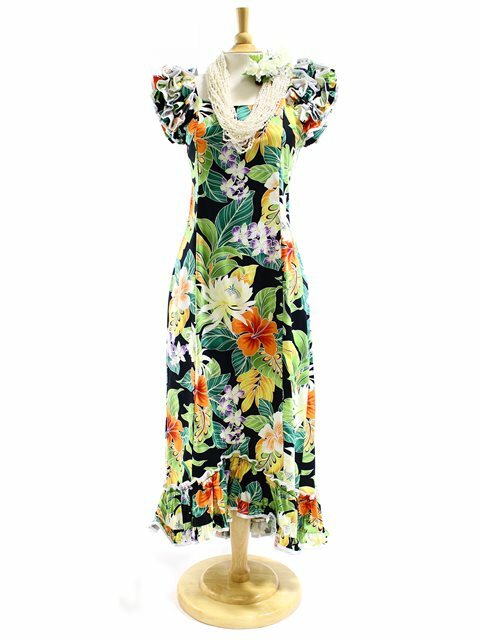 This is an elegant Hawaiian Long Dress. Prominent in their collection of clothing that implement an exquisite combination of traditional Hawaiian-style print and contemporary design. Love the dress. It will be used in June for my wedding. Beautiful pau skirts! Color was perfect.